Safety & Environment – Hancock Petroleum Inc.
Safety is a top priority at Hancock Petroleum – no job is worth the risk doing unless it can be done safely. Our COR Certified Safety Program has been designed to meet and exceed all Federal, Provincial and Municipal legislation. Hancock Petroleum believes that accidental loss can be controlled through good management in combination with active employee involvement. It is the responsibility of all managers for the health and safety of all persons at Hancock Petroleum work sites. All employees, contractors and sub-contractors will perform their jobs properly in accordance with established procedures and safe work practices. 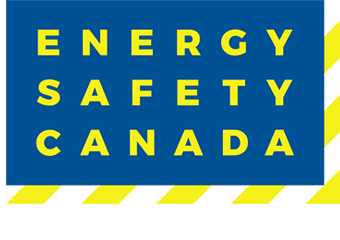 Among the many components, the comprehensive EH&S Program encompasses safe work practices, hazard assessments, site orientations, pre-work safety meetings and on-the-job training. The goal is to prevent workplace accidents, injuries and downtime by training employees to follow proper job procedures, recognize potential hazards and identify methods to control/eliminate them. Essentially stop accidents before they happen. – Through highly regimented safety programs we are one of the top ranked in our industry. All equipment is subject to regular safety inspections, maintenance and mechanical certification. Hancock Petroleum Products Ltd is sensitive to environmental awareness and preservation. We educate and train our employees to perform their jobs in an environmentally friendly manner. Hancock Petroleum Inc. is committed to the safeguard of its 4 core assets – the business, the environment, the customers and the employees. The responsibility of this commitment involves operating our business in a safe and prudent manner complying with government legislation, industry standard practices and company policies. To this end, Hancock Petroleum Inc. will strive to safeguard its assets against damage. To this end, Hancock Petroleum Inc. will strive to operate its facilities, equipment and trucks in a manner which protects the environment we work in. To this end, Hancock Petroleum Inc. will strive to provide customers with safe reliable service each and every time. To this end, Hancock Petroleum Inc. will strive to provide a workplace that is both safe and conductive to our employees and contractors health and well-being. To fulfill this commitment the management and staff of Hancock Petroleum Inc. will communicate information and identify hazards that may result in personal injuries, illnesses, fire, security losses and damage to property. The company aims to control accidental loss through sound policies, strong management, on-going training, active employee involvement and competent contractors. Loss prevention and a zero harm environment is the direct responsibility of everyone associated with the company. Hancock Petroleum Inc. encourages all employees to share in the company’s commitment and responsibilities.